SessionM Inc., a developer of software that helps companies offer loyalty programs and digital marketing campaigns, has raised $35 million in private investment. 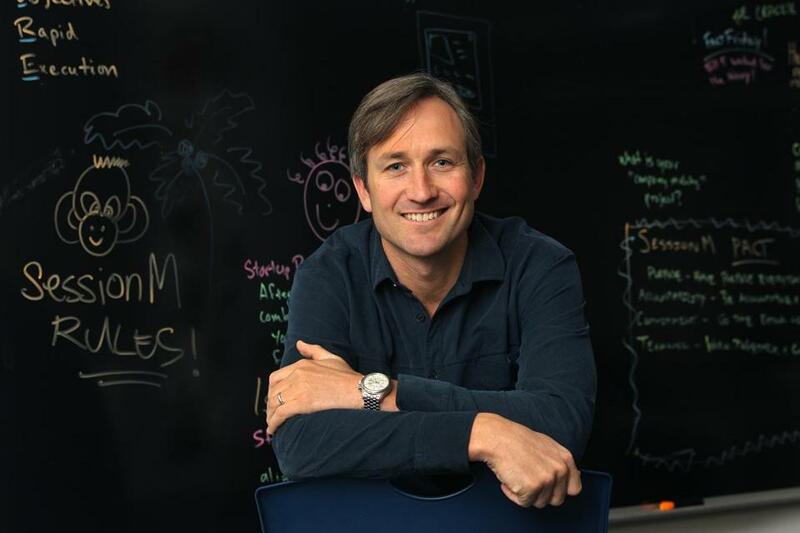 The Boston startup is headed by chief executive Lars Albright, a veteran of the mobile advertising sector. Apple Inc. bought Albright’s previous mobile ad-software startup, Quattro Wireless of Waltham, for an estimated $275 million in 2010. SessionM said it plans to expand to more than 200 employees in the coming year, with the majority at its Boston headquarters. The company opened its first international office, in London, this spring. The money should also help SessionM target more big names for a client list that includes Kimberly-Clark, Samsung, and AT&T. The company declined to reveal detailed financial figures, but said it was on pace for roughly $50 million in annual sales. SessionM’s software lets corporate marketing departments offer discounts, loyalty programs, and customized content through e-mail and mobile apps. SessionM can help tailor surveys, push notifications, and other marketing messages because it blends a wealth of data points about customers. “If they’re buying their third latte at a store, or visiting your app, or checking out the website . . . that data all gets streamed into our system, in real time,” Albright said. The Boston Celtics, a new SessionM customer, plan to use the software to display customized versions of the team’s app to individual fans. Users who love point guard Isaiah Thomas, for example, might be greeted with highlight videos and stories about Thomas when they fire up the Celtics app, while fans of center Kelly Olynyk would see information about that player. The Celtics’ chief executive, Wyc Grousbeck, whose venture firm Causeway Media Partners is an investor in SessionM, said the team hopes the souped-up app can help it capture more attention from fans, particularly those who are checking their smartphone screens during games. The Celtics may add ticket and merchandise sales to the app in the future, Grousbeck said. SessionM faces many competitors in the market for mobile marketing software, including huge software providers such as IBM and Oracle. But SessionM’s latest financing also gives it an alliance with one of the nation’s largest sales-and-marketing software vendors: Salesforce.com, whose venture capital arm is among the investors in the new round. The new financing, led by the private equity firm General Atlantic, nearly doubles the $38.5 million that SessionM has raised since its founding in 2011. The company’s other backers include CRV, Causeway Media Partners, Highland Capital Partners, and Kleiner Perkins Caufield & Byers.